On Thursday, March 15, 2018, the Prairie Sky Chamber of Commerce announced the 2018 WMBEXA finalists in the categories of Non-Profit of the Year, Customer Service, Community Involvement, New Business & Business of the Year. For tickets to the 2018 WMBEXA Gala on May 4, 2018, please click HERE. Referrals are a powerful selling tool! They are one of the most highly effective methods of getting new business but also the most underused forms of marketing. We all know that people would rather do business with people they know or those that have been recommended to them from someone they know and trust rather than with strangers. When you’re introduced to a prospect through a personal recommendation, that prospect has a considerably higher comfort level with you than a stranger. So why is it that, while we all desire referrals, we don’t pursue them as much as we should? • When you begin working with a new customer, make referrals part of your initial agreement. “If I do a great job would you agree to refer my business?.” Chances are your customer will be impressed by your dedication and drive. • Use every client meeting as an opportunity to collect referrals. To keep yourself on track, jot a reminder down in your meeting preparation notes. Make it one of your standard talking points. • Set a weekly goal for yourself. Keep track of the number of referrals you ask for each day. You don’t need to limit your requests to clients; you can also ask business associates, acquaintances and prospects. • Make the most of networking opportunities like the ones the Prairie Sky Chamber organizes for you. Step out of your comfort zone and set a goal to talk to at least three new people. Plan in advance what you might say. We’re all drawn to interesting, enthusiastic people. 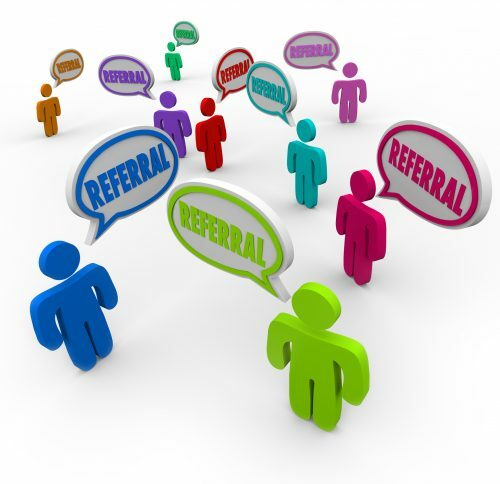 • Don’t forget to give referrals yourself! Whenever you have the opportunity to refer or connect two contacts together, do so! Most people will appreciate the referral, and it may inspire them to do the same. • Don’t forget to say, “Thank You!”. Send them a note, give them a call or maybe give them a discount on future purchases. • Once you have the referral, make sure you capitalize on it. Most often, you have one chance to make an impression, and the way you treat the referral not only affects your potential relationship with that person but it can affect your future relationship with the client who gave you the referral. As referral is a precious commodity so treat it with care. Make sure you exceed the expectations the first time! Referrals can be an excellence and profitable way to increase your sales and expand your customer base, but taking referrals is also a huge responsibility. Take it seriously and work hard at it, and your business will benefit!